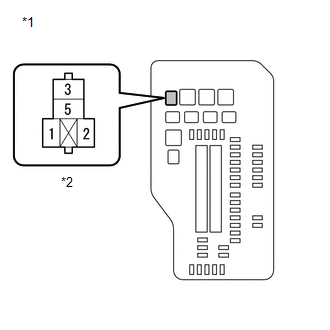 When the theft deterrent system is switched from the armed state to the alarm sounding state, the main body ECU (driver side junction block assembly) controls the security horn. 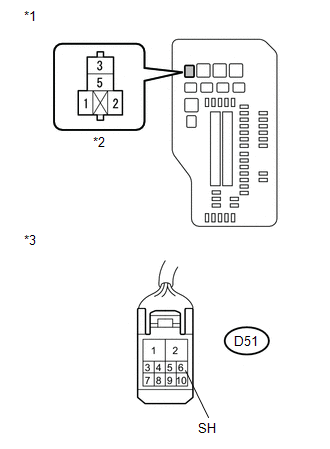 (d) Select the item below in the Active Test and then check that the security horn assembly operates. The security horn assembly sounds and stops correctly when operated through the Techstream. 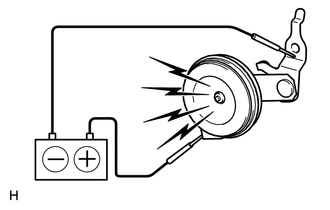 (a) Remove the security horn assembly (See page ). 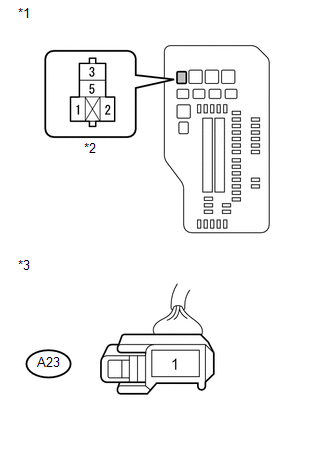 (b) Check the operation of the security horn assembly. 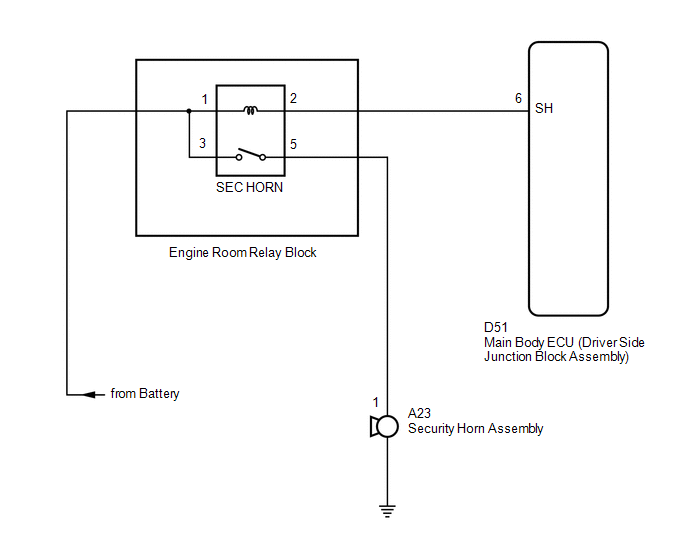 (a) Remove the SEC HORN relay from the engine room relay block. 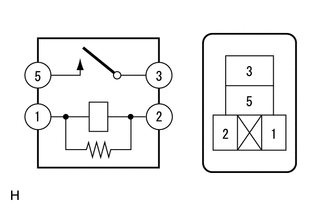 (b) Measure the resistance on the relay block side according to the value(s) in the table below. (a) Disconnect the A23 security horn assembly connector.